The ZTE Nubia Z5 is a high-end Android smartphone with a full HD 5-inch screen. 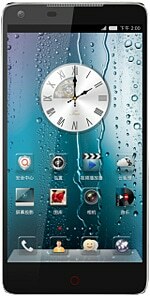 The Z5’s 1920 by 1080 screen offers a sharp 443 pixels per inch, and the ultra-thin handset — just 7.6mm thick — is driven by a 1.5GHz quad-core Qualcomm Snapdragon S4 Pro processor running Android 4.1 Jelly Bean. The device was announced in late December 2012 and is expected to ship in China in January 2013, where it will retail at around ¥3,456 (US$554).